Mumbai: Imagica has launched new summer campaign with an ad film derived From strong consumer insight and integrated appealing message #Groupbaazi which propagates the idea of maximizing fun in groups. The ad also encapsulates the childlike enthusiasm that turns adults into kids as they enjoy the varied rides, attractions and entertainment options with their respective groups laying the foundation for the campaign tagline #Groupbaazi Mein Mazaa. “Imagica is synonymous with fun, excitement, entertainment and the idea of having a great time together, establishing its brand archetype as ‘Entertainer’. In India, people always bond with each other and form big groups to have fun and it starts right at home extending to every phase of an individual’s life. This is validated by the visitors’ trend observed at Imagica where people usually come in groups of families or group of friends beyond only a single family unit. We are truly excited to see how the campaign unfolds and resonates with our target audience.” said, Raveendra Singh, Head of Marketing, Sales and Strategy, Imagica. 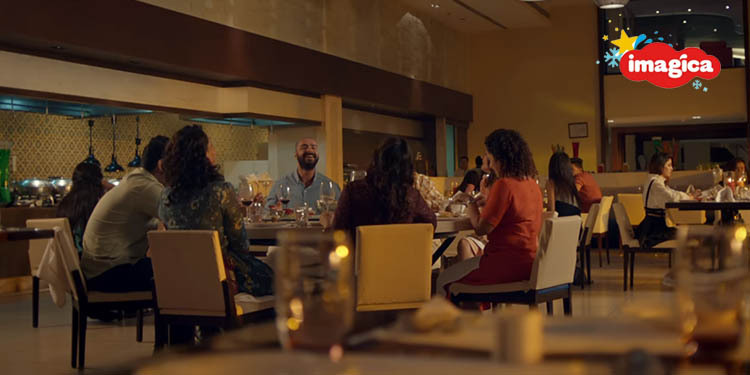 The campaign media mix supported by TV, digital and Out-of-Home is set to be further amplified through associations built with Carnival Cinemas, Jio IPL 2019 Play Along, and Big FM Radio.